Practice should reflect age and level. Five to ten minutes of practice at a time for a very young beginner is usually good. For those starting out regardless of age, five to ten minutes per day, moving to two sessions per day of that duration, is recommended to gradually build both concentration and engagement. As an indication forty minutes daily up to Grade 4 level, and fifty to seventy minutes thereafter would be very good in order to achieve higher passes (merit, distinction). These are at best estimates and take into account neither the challenges presented by specific repertoire choices (‘Black Eye’s from the Grade 4 ABRSM 2017-2018 syllabus comes to mind) nor the different strengths and weaknesses in the learning ability and rate of individual students. Practice should be a daily habit. Learning to play the piano is not exclusively about passing grades: it is the journey which matters more (the most!). Make sure there is easy access to a good enough instrument: poor instruments can actually destroy motivation (no-one wants to play an awful- sounding instrument). Don’t place the piano next to a TV if the family plans to watch while the student is supposed to try concentrate on practising. Certainly avoid placing the piano in noisy areas of the house. You can’t learn to play the piano if you have no idea what piano concerts sound and feel like. Attending pupils’ concerts and local competitive festival classes is a start, provided that the students listen carefully to each other, but there is no substitute for a live (professional) recital or concerto. Free concerts especially at lunchtimes will allow you to leave during intermission if children become restless. Try Charlton House on Fridays, St Alfege’s in Greenwich, St-Martin-in-the-Fields, St James Piccadilly, and Hugh Mather’s Concerts at St Mary’s Perivale in West London. Southbank does a lot of family concerts, some of which are free. Another suggestion is Bach to Baby concerts for young families. For secondary school age children we also recommend Wigmore Hall, St John’s Smith Square, Kings Place, Barbican, Royal Albert Hall (for example the upcoming BBC Proms), as well as the conservatoires: RAM, RCM, Guildhall/ Milton Court. At young ages (4-9 years) parental involvement is directly related to success in the lessons and by extension in exams, performances/auditions/competitions. Rest assured that parents are not expected to be musically literate. Lessons need to be regular for progress to be steady. Lessons should be used for acquiring new skills, getting feedback, trying new things, asking questions. Turning up regularly with no consistent practice done in the week prior to the lesson is a rather poor way to use your time with the teacher. Supervised practice should be at home with the help of a parent or willing member of the family. Nannies are the wonderful human beings who carry the children safely and on time to and from lessons. Very rarely have we seen a nanny also being able to implement a practice regime like a parent does: ultimate authority (and source of validation) can only be a parent/guardian. Children below the age of 12-13 are mostly motivated by the love of parents: if parents take active interest in their piano playing, children will continue to thrive. Make sure that even if your work doesn’t allow much family time, you still remember to ask how practice went and what pieces they are playing, etc. Also, you can ask for a short performance once in a while when you get home if it’s not too late. If a piece sounds messy try to compliment the effort not the result. A balanced reaction, which avoids both empty praise and too much criticism, is perhaps difficult to achieve but necessary. Some children are harder to work with than others. They may be less motivated if they can’t concentrate well, if they are perfectionists, easily disappointed, not confident enough, or have a rather fixed mindset. Piano lessons address all these issues and can give them the necessary skills to succeed not only in music but as learners in general. 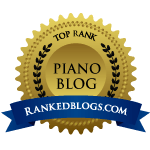 As long as you facilitate a regular practice regime and you show your support/enthusiasm for the young pianist’s progress, we are confident the rest will fall into place. Finally: do not stress a young pianist of promise with comments about future plans of a career. It might just backfire and cause all motivation to disappear. Managing stress is itself a skill, but when it appears in the form of parents’ inordinate expectations, a child may just feel it has no control any more, yet parental love might appear to be at stake. A career and musical talent (even proven through competitions) are not the same. A career should only be (carefully) discussed with pupils who are self-motivated, usually have several wins at festivals/competitions, a grade 8 distinction (preferably a diploma), are at least 15-16 years of age and have themselves expressed eagerness to become musicians. It should never be directed at being famous and getting rich! Careers are very much dependent first and foremost on parental support, right type of exposure (performances/masterclasses/ competitions), careful planning of several aspects, as well as on personality and artistic aims (for which keeping up with repertoire, current performers, and a working knowledge of the various fields are necessary). In the end it’s about making music and enjoying sharing it with others. With funding cuts affecting the provision of state education, at least parents are doing their best to offer their children invaluable experiences, skills, and memories. And that makes it all worthwhile. Natalie Tsaldarakis is a pianist, and one half of the Ivory Duo Piano Ensemble which focuses on film music arrangements and new music for two pianos & piano 4-hands. Natalie is also a trustee of the Cornelius Cardew Concerts Trust and runs a large piano studio in SE London with her husband, pianist Panayotis Archontides. Currently, Natalie is a PhD student at City, University of London researching the piano pedagogue Gordon Green and the Manchester school of pianism. Previous postWhat happened to improvisation in classical piano music?